The Guardian’s Matt Law recently reported that Hazard is “expected” to tell Chelsea that he wants a move to Madrid any day now. Similarly, La Liga journalist Guillem Balague has revealed Real Madrid’s £300 Million summer transfer budget, which they are expected to throw at a double transfer for Hazard and Eriksen or for Neymar alone. 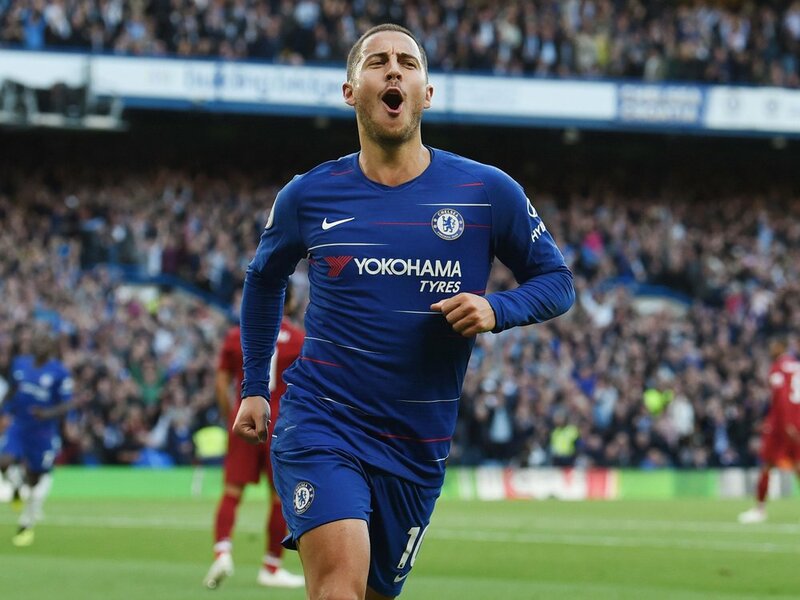 Though both reports are speculative, they reveal a stark reality that has become increasingly prevalent throughout Hazard’s Chelsea tenure: Hazard wants Madrid, but Madrid do not necessarily want Hazard. Putting aside the needs of Chelsea or Real Madrid, the next few points will detail the pros and cons of Hazard’s decision to stay or leave as it relates to his personal life, his potential, and his legacy. It is no secret, Hazard has always admired Real Madrid. Having never rejected the possibility of a transfer to Madrid but continuing his game of shadows with the media over his future, Hazard’s desire to see himself play in white can be reasonably inferred. Speaking from the perspective of a Chelsea fan, I can’t really blame the guy. It is the team he grew up dreaming to one day play for. Now, he has spent seven years in England, developed into one of the greatest players in the world, and, at the age of 28, wants to determine his future based on his wishes, not the hopes of a club or a fanbase. If Hazard goes to Madrid, he will have a difficult time establishing himself as a fan favorite or an icon of “galactic” status. But, if you were Eden Hazard – I mean seriously think about this – wouldn’t you at least want to give it a shot? It is a melancholic position for a fan. You admire a player who has defined your club through so many highs and lows, and all you want now is for him to stay. He is your player, not another club's. And of all the clubs to take him from you – Real Madrid? Really? Don’t be absurd. But Eden Hazard is a 28-year-old kid on top of the world. He will never be better at his job, and he will never have another chance to land a richer contract than the one he will sign for either Real Madrid or Chelsea in the coming months. In the tragically short career of a professional athlete, they rarely have control over their own destiny. Eden Hazard has the chance to determine his fate. With roughly a decade left in his career as a professional football player, Hazard’s decisions in the next transfer window will follow him for the next 60 years of his life. At the age of 28, Eden Hazard has reached the peak of his career. After seven seasons with Chelsea, the Belgian can look back upon two league titles, one Europa League, one league and FA cup, one Player of the Year award, and over 100 goals scored for his club. No matter which team Hazard decides to spend his future years with, this will prove a difficult record to beat. At Chelsea, Hazard is already a heralded figure. To many, the Belgian is the most skilled player in Chelsea’s history, not to mention the club’s most valuable asset over the past five years. No, he is not a dressing room general like John Terry or Frank Lampard. He’s doesn’t mouth off to the press, and he certainly doesn’t spend his time off the pitch stressing over his next Instagram post. Hazard, however, remains an unbearably likable and heartwarming player. A player whose only motivation at times appears to be scoring pretty goals or assisting his teammates with the most creative backheel flicks imaginable, Hazard plays the game for fun. At Chelsea, Hazard can extend his contract for three or four more years in which he can possibly win more trophies for the club, cement his legacy, and depart as a loyal legend. If Hazard departs for Spain, he will be leaving the embrace of a fanbase that has stood by him, mouths gaping at his repeated brilliance, always ready to back his frustration with a current manager or to cheer him out of a slump. The Madridistas will not be so comforting. Madrid’s next signing will be headlined as a replacement for CR7, a solution to the goal-scoring void that appeared following the Portuguese forward’s departure. Not only is Hazard not the goal scorer Madrid fans desire, but his arrival would also prevent Neymar or Mbappe from joining the squad. Simply put, Madrid fans are more eager to see a 20-year-old Frenchman or a 27-year-old Brazilian who both guarantee goals rather than an expensive Belgian who doesn’t score enough and will be 29 this time next year.